Some people get all the techniques, and it's just not fair! This clip from his upcoming interview begins with an excerpt of Olli’s adaptation of the Brazilian choro “Alumiando”, and we’ve included some slow motion so you can see just how cool Olli’s crosspicking technique is and what it’s capable of. In the subsequent conversation, Olli explains how he uses this technique in combination with more traditional Gypsy-style movements to tackle lines in the Gypsy vocabulary that we don’t normally associate with rock- and jazz-style pure alternate approaches. What’s even more interesting are the moments in our conversation when Olli thinks he’s using Gypsy technique, but the camera says otherwise. Some people get all the motions, and it’s just not fair! Olli normally plays “Alumiando” as a duet with Brazilian guitarist Cesar Garabini, whose thumb-picking and fingerstyle approach on a seven-string acoustic is more typical of the choro style. The combination of Olli’s jazz-inflected tenor and Cesar’s syncopated acoustic baritone is super tasty and unique. While we finish up editing Olli’s interview, we’re also working on getting both guys back into the studio for a live rendition of “Alumiando”, as well as a sit-down with Cesar on elements of his awesome choro technique. We’ll keep you posted. 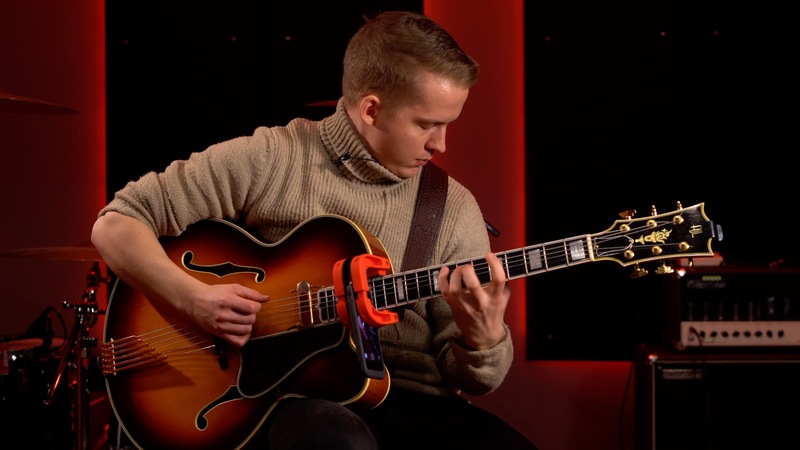 Always cool to see more Finnish guitar players on Cracking the Code! Considering the number of great players in such a small place, you guys must be one of the most guitar-packed countries on the planet! Incredible, he looks like he’s playing Smoke on the Water, he’s so relaxed while doing it. Awesome stuff.